The more I think about it, the more frustrated I get about this Google fine. Michael explained it nicely yesterday, but I want to touch on it again. Android is a free platform that has been adopted by most phone manufacturers. What a win, the phone manufacturers like Samsung and Huawei do not need to worry about the software of their products. That responsibility sits in the great and consistent hands of Google, who have created Android for free. But Google is not a charity. They do this, and they do this well, because they can direct Android users to use their products such as Google Search, Youtube and Google Play. Otherwise, what is the point? It is a win-win situation for everyone. Now the EU wants to fine Google $5bn for making the likes of Samsung preinstall apps like Youtube. In my opinion, this saves users time and data because they would download these apps anyways. Most Android users are entrenched in Google Play with music and app subscriptions. The consumer wants these apps. This is like fining Facebook (free) for promoting Instagram (free). It is also no different from what Apple does with its closed platform. Everyone has a choice here. If Samsung doesn't want to preinstall these apps, they can move to a different software or create their own. If consumers don't like these apps they can delete them. Now I know we are Alphabet shareholders, so I certainly bat for Google here, but mostly I bat for free enterprise and businesses that improve our lives. We are fortunate to live in an age where such amazing products come for free. Trump gets a huge amount of bad press with regards to these trade wars. The EU, with this fine, have stooped to Trump levels. 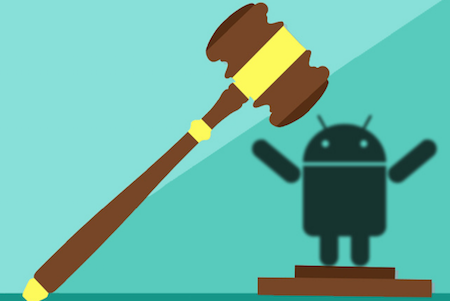 Now Google is considering charging for Android. Everyone loses.